« Customs, tikis and robots – Step inside Rob Walker’s head! 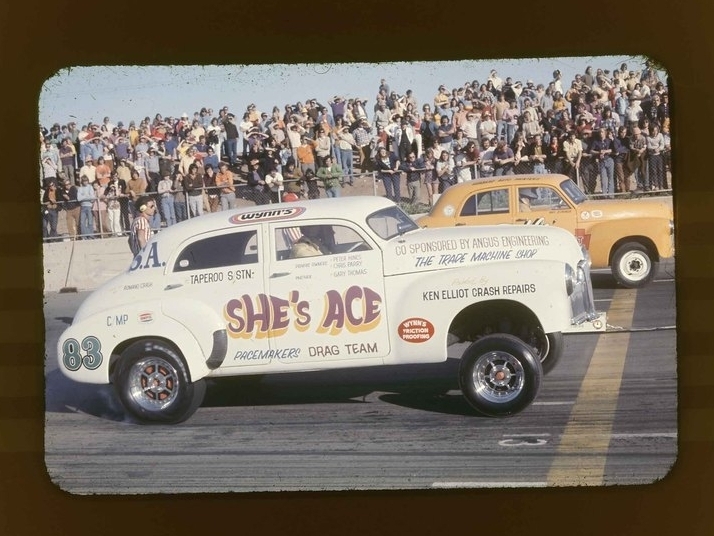 She’s Ace was a famous Aussie drag car back in the ’70s. She was powered by a 202 topped with a Yella Terra head and a 4 speed box backing it up, and it looked fantastic. Romano Puntin from All Car Restorations thought so too, as he’s in the final stages of building a tribute to the iconic Aussie racer. “I was lucky that both the original builders are still with us, as they supplied many photos and input of the build”. Looks and sounds great! How cool, I love these old nostalga cars, the old Holden 6’s sound brilliant I used to have a lot of fun driving hot 6’s more than driving the big V8’s!! There is just something about them. Little wonder I love having my “Big Block 265 HEMI” in my 36 Dodge sedan. I’m Gary Thomas’ (She’s Ace driver) daughter, Kylie. I was born too late to remember She’s Ace but Dad used to talk about his old dragging days and we had photos & film of the car around, so seeing this is very nostalgic.